This magnificent curtain of water which descends into a narrow abyss between Zambia and Zimbabwe is a UNESCO Heritage Site. 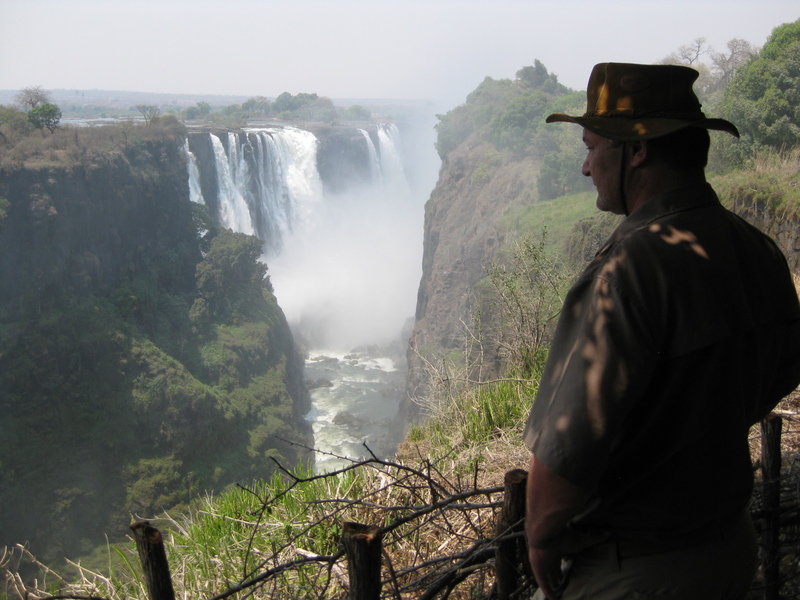 Victoria Falls has been a sought after destination since the late 1800’s and is thought to be the largest falls in the world, one of the seven greatest wonders. 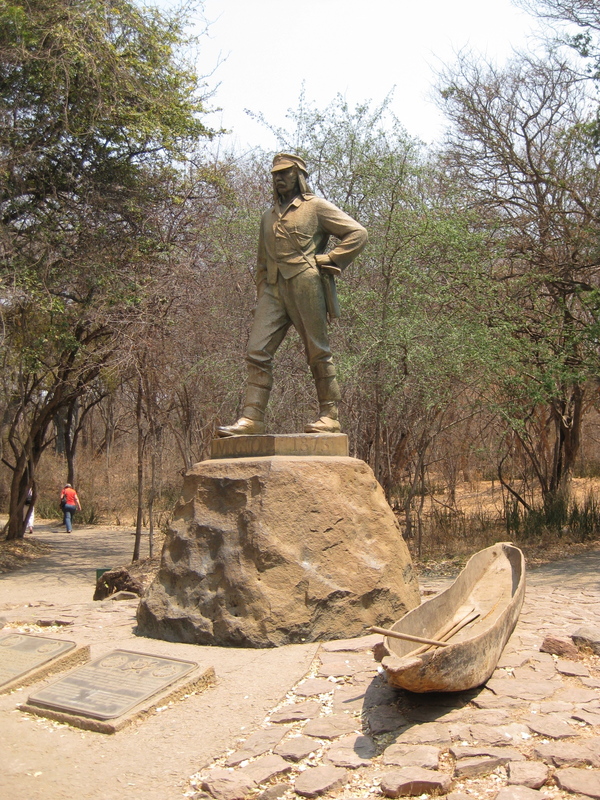 David Livingstone became the first European to see Victoria Falls. He returned again in 1860 for a more comprehensive study and was accompanied by John Kirk, a fellow explorer. 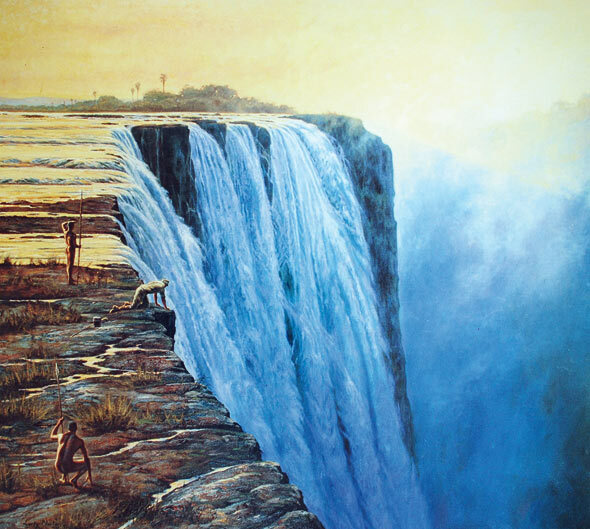 Other European visitors that followed included a Portuguese explorer, and Emil Holub a Czech explorer who made the first detailed plan of the area, also British artist Thomas Baines who painted some of the earliest pictures of the falls. Once word got out, Anglo traders started to arrive in increasing numbers and a rustic settlement was built on the riverbank (now Zambia) called Old Drift, the crossing place for the Zambezi River prior to 1905. The towns of Victoria Falls, Zimbabwe and Livingstone, Zambia stand on either side of the mile wide waterfall and the mighty Zambezi River. This shared heritage offers the ideal destination for romance, weddings and honeymoons, fabulous Big Five safaris and wildlife viewing. A huge variety of adrenalin sports take full advantage of the spectacular environment. Other unforgettable adventures include flights over the falls, horse trails, canoeing, fishing and cruising.